I vow to do a theater “Best of” thing every year but I usually end up not doing one…EVERY ONE does these and who really cares what I think, but I felt compelled this year. 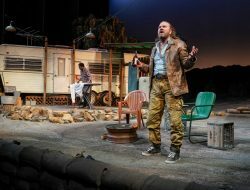 Here’s my take on the things I liked very much in Seattle area theater after seeing 112 different stage productions over the course of a very long year. Note: it’s not in order of “bestness” but mostly chronological, at least for the first section, from January of 2017 to the end of the year. BOLDING of names/shows indicates I’m singling them out for “excellence”. If I had the money, I’d give you all gold foil wrapped chocolate prizes. 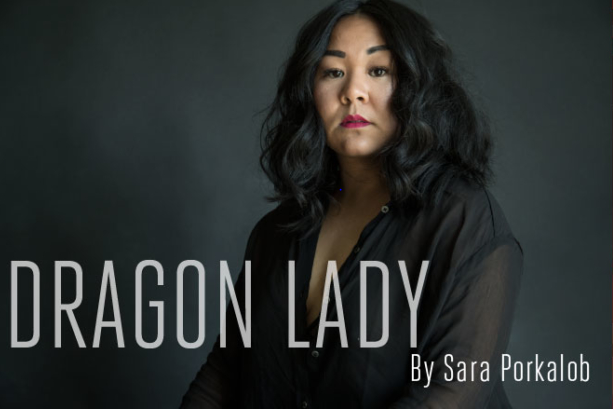 SARA PORKALOB’s solo theater piece DRAGON LADY has been around for a couple years playing in solo theater festivals and the like as the actor/writer/director fine tuned what is essentially two one act pieces about her fascinatingly complex Filipino family. The first part focuses on the titular materfamilias, Porkalob’s tough, loving but flawed grandmother and her life as a teenager working in a seedy nightclub in the Philippines while the second half featured the actor convincingly portraying many members of her family including her own mother while they were trying to survive living in Seattle without much adult supervision. It’s a charming tour de force for the performer which showcased all her hyphenated talents plus her skills as a singer (which included a terrific version of Shirley Bassey’s least known James Bond theme, “Moonraker”) and if you saw it in January of 2017 in its incarnation as “Madame Dragon’s Birthday Bash” at Café Nordo, you also got the benefit of a delicious Filipino meal with your show something missing from the September version produced by Intiman, which wasn’t quite as interestingly staged. Still, if Dragon Lady returns to an area stage in the future, you do need to experience it. Seattle Shakespeare Company made the very wise decision to team up with the all female theater company ‘upstart crow’ (the lower case is deliberate) and let them take the lead role in creating a brilliant and clever adaptation of three of Shakespeare’s least seldom produced historical plays “Henry VI, parts I, II and III” which chronicle a fictionalized account of several years of 15th century British history with dozens of interconnected characters. Retitled as BRING DOWN THE HOUSE and expertly formed and trimmed into two parts, (Part One subtitled: “Throne of Treachery” and Part Two as “Crusade of Chaos”) by director ROSA JOSHI with her upstart crow co-founder KATE WISNIEWSKI (who also acted in the production), “BDTH” was a major theater event in Seattle in 2017 and a great example that Shakespeare can be exciting and relevant in the hands of a crack team which included original music created by WILLIAM SATAKE BLAUVELT and fantastic movement/fight choreography created by ALICE GOSTI (Movement) & PETER DYLAN O’CONNOR (Fight Choreography). 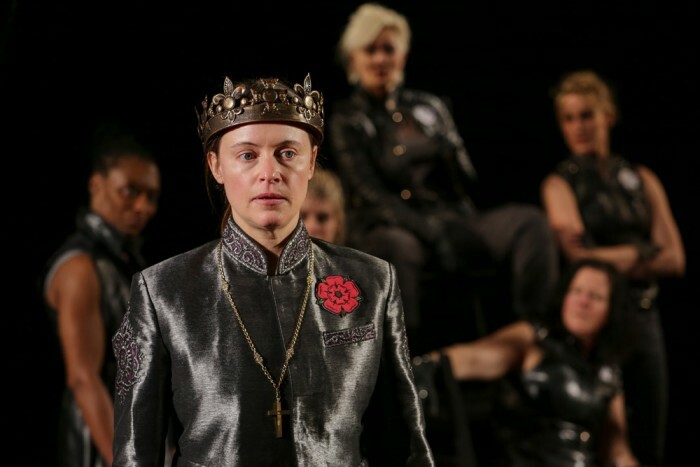 Superbly designed with a strong acting ensemble headed by MARI NELSON, PEGGY GANNON, SARAH HARTLETT and NIKE IMORU, it was the best thing produced by Seattle Shakes in quite awhile and we hope to see further collaborations between them and ‘upstart crow’. 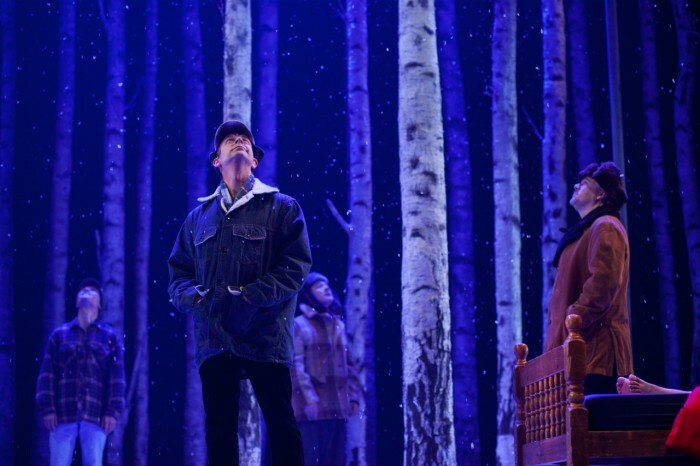 The absolute best thing on a stage in Seattle in 2017 sadly didn’t originate here or feature any Seattle talent but THE NATIONAL THEATRE OF SCOTLAND’s LET THE RIGHT ONE IN was thankfully brought to Seattle’s Moore Theatre via Seattle Theatre Group and was a stunning piece of theater artistry and craftsmanship. 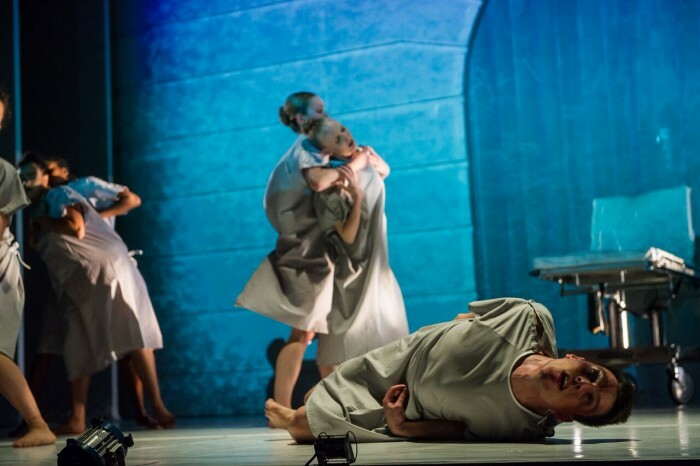 Adapted by Jack Thorne form the Swedish novel and film by John Ajvide Lindqvist, it was brilliantly directed by the internationally renowned John Tiffany with movement by Steven Hoggett, the same team responsible for War Horse and Harry Potter and The Cursed Child. And, despite the fact a main special effect failed to function on its Seattle opening, this modern Scandinavian take on vampirism, bullying, and youthful angst was still an awe inspiring night of theater…and, I’m kicking myself for not seeing it a second time. If you failed to see it, you missed something very, very special. Another special event in Seattle Theatre was also outside the mainstream and came from an educational perspective. The University of Washington Drama Department’s Drama Lab created CINO NIGHTS on three nights in March of this year in a former medical marijuana dispensary in the U-District which was transformed into a tribute to Joe Cino’s legendary Greenwich Village performance space, Caffé Cino, where in the 1960s, dozens of major artists got their start including Lanford Wilson, who penned the opening night production of THE MADNESS OF LADY BRIGHT featuring a great performance by TAYLOR JONES as the titular queen coping with the demands of being ‘mad’. Staged, designed and performed by UW Drama faculty and graduate students, the three nights of theater were a dazzling showcase for youthful talents and a fascinating look at a shadowy but major part of theater (and queer) history. Oh, and iconic gay playwright ROBERT PATRICK also showed up for an after show discussion. We jump to June for the next BIG theater event and again, it was a non-traditional kind of production. SPECTRUM DANCE THEATRE under the artistic guidance of founder/choreographer DONALD BYRD has been making provocative and politically artistic dance theater for many years now but Byrd and his company have pushed the artistic envelope of late with works highlighting issues of race, gender, sexuality…you name it. (IM)PULSE, staged at Seattle Repertory Theatre’s Leo K stage, was their haunting and chilling two part piece that emphasized dance by the SPECTRUM DANCE COMPANY in the first half of the evening but centered on a brilliant spoken word performance by actor CRAIG MACARTHUR using the works of the late writer/performance artist/activist David Wojnarowicz and activist/playwright BRIAN QUIRK in the second half. Created in response to the Orlando Pulse Nightclub massacre in June of 2016, both pieces examined oppression of LGBTQ people in a vivid, powerful representation of 90s protest art (ACT-UP) and washed in a rainbow of vivid colors in the designs by JACK MEHLER (lighting), TRAVIS MOUFFE (video), DORIS BLACK (costumes) as well as ROBERTSON WITMER’S sound work. 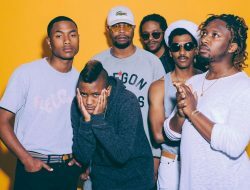 Emotionally draining as well as uplifting, (IM)Pulse was a major work of theatrical art. June also scored with the best play production of the year as Strawberry Theatre Workshop staged Octavio Solis’s autobiographical-ish look at Mexican-American life on the border, LYDIA superbly directed by SHEILA DANIELS with an exceptional cast headed by a young student actor, SOFÍA RAQUEL SÁNCHEZ who was simply astounding as the central character, Ceci, a young woman who has suffered brain damage after an accident and in a nearly vegetative state is cared for by her immigrant family who host a number of secrets about the events that led to that accident. The play itself is a literary treasure but Daniels’ astute direction of a fantastic ensemble (Yadira Duarte, Carol Marie Monroe, Ray Gonzalez, Pablo Lopez, Rafael Molina, Andrew Pryor-Ramírez) and fine design work resulted in a passionate and provocative evening of theater in a year that was kinda/sorta lacking in bravura shows such as this from local companies. A quartet of strong shows highlighted African American characters, themes and artists and was indicative of local theater’s efforts to tell a broader range of stories featuring different life experiences than the usual ones about white people coping with the heartbreak of psoriasis while living in suburbia…Intiman gave us another clever production from playwright Robert O’Hara as a follow up to their terrific production of his “Bootycandy” from a couple years back; this summer’s production of BARBECUE contrasted the same story (dysfunctional trashy family coping with issues of addiction) told parallel-y between a white family and a black one. 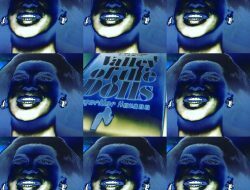 A very funny ensemble cast (particularly KAMARIA HARRIS, ANGEL BRICE and CYNTHIA LAUREN TEWES) and direction by the very busy MALIKA OYETIMEIN overcame some weaker writing at the play’s conclusion. Ms Oyetimein also scored with her direction on Sound Theatre Company’s production of Katori Hall’s HOODOO LOVE which focused on the complicated life of a young black woman living in 1930s Memphis and coping with a too casual for her taste love affair with a traveling blues musician as well as the arrival of her problematic brother with the aid of her next door neighbor a hoodoo priestess. The cast, headed by PORSHA SHAW with EVA ABRAM, ANDRÉ G. BROWN and COREY SPRUILL was excellent with great scenic design by MARGARET TOOMEY. And, Ms Oyetimein also shone with her direction of Book-It Rep’s adaptation of the classic novel, I KNOW WHY THE CAGED BIRD SINGS, the acclaimed memoir by Maya Angelou which featured another great ensemble cast headed by young AISHÉ KEITA as young Maya, with SHAUNYCE OMAR playing both her grandmothers and RONNIE HILL, mesmerizing as a kindly crippled uncle but also more chillingly as the man who raped her as a child. Also powerful: The Williams Project took on James Baldwin’s BLUES FOR MISTER CHARLIE under the strong direction of RYAN PURCELL with a sizzling ensemble cast: (Grant Chapman, Ryan Williams French, Alexis Green, Rafael Jordan, Brenda Joyner, Leicester Landon, Elise LeBreton, Nancy Moricette, Max Rosenak, Reggie D. White). Based on a real racially motivated murder, this powerful but simply produced production was staged at two locations, at a high school and a church both located in South Seattle. 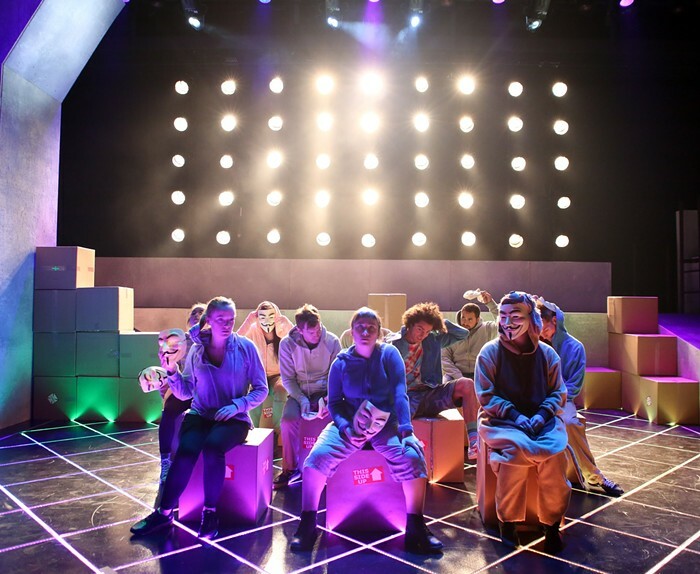 Exploring the world of online hacking and computer activism, Washington Ensemble Theatre’s production of TEH INTERNET IS SERIOUS BUSINESS offered a crash course in very real recent-ish events involving (mostly) young people from around the globe getting caught up in internet tomfoolery and activism. Tim Price’s smart, witty play takes a few minutes to get its bearings (or, to be more accurate, it takes a few minutes for the audience to figure out what it’s all about) but it’s such a smart, clever piece of work that getting to that point is part of the fun. Superbly directed by WAYNE RAWLEY with choreography by ALYZA DELPAN-MONLEY with astonishing scenic/lighting design by TRISTAN ROBERSON, sound design by MARIAH BROUGHER, costume design by JENN OASTER and a terrific ensemble cast including JEFFREY AZEVEDO, NICK EDWARDS, RACHEL GUYER-MAFUNE, KEVIN KELLY, ARJUN PANDE, ZENAIDA SMITH, JORDAN-MICHAEL WHIDBEY, SAMIE SPRING DETZER among many others. It was a pure delight from start to finish. The 5th Avenue had a huge fall hit with their “chamber” version of the mammoth musical RAGTIME based on the novel by E.L. Doctorow. This megamusical has always had a hard time being profitable due to its size and scale as it covers early 20th Century life with characters both fictional and real (Houdini, Booker T. Washington, Evelyn Nesbit, Emma Goldman) as it centers on three representative families (rich/white, immigrant/Jewish, and black/disenfranchise). PETER ROTHSTEIN’S meticulous staging (and KELLI FOSTER WARDER’S equally strong choreography) simplified the cast by eliminating the huge chorus and having the core actors play multiple roles. 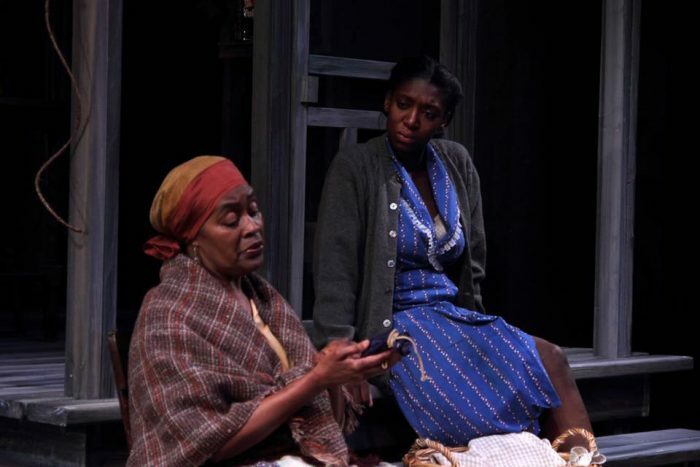 The cast, headed by KENDRA KASSEBAUM as Mother, JOSHUA CARTER as Tateh, and DOUGLAS LYONS as Coalhouse Walker was superb but the design team led by DUANE SCHULER’S lighting, MICHAEL HOOVER’S sets and TREVOR BOWEN’S costumes ALMOST stole the show. Though at times its mise-en-scène seemed to borrow a tad heavily from last year’s Broadway production of Arthur Miller’s timeless classic about “witch hunts” directed by Ivo Van Hove, ACT Theatre’s version of THE CRUCIBLE directed by its artistic director JOHN LANGS did bring its own touches to the material largely due to a strong cast headed by PAUL MORGAN STETLER. Miller’s message about paranoia, finger pointing and politically motivated hysteria still rings true today in our troubled times and ACT’s production was vivid, powerful and compelling. I didn’t love the script of New Century Theatre Company’s (final, sad to say, as the company disbanded) production of The Realistic Joneses but I did admire performances (SUNAM ELLIS) and aspects of PAUL BUDRAITIS’S direction but I REALLY loved the scenic design by ANDREA BRYN BUSH, a rough wood created multi-function house set complete with dynamic miniature townscape as a header. Sublime. Other great performances in problematic plays/productions: RICHARD GRAY in two different shows; very very funny in the mostly awful two actor musical Murder for Two with an also excellent CHRIS DI STEFANO and fabulous set by CAREY WONG….And, in the messy play The Nance, Mr. Gray shown again as the titular character, a gay actor who plays a stereotypical gay comedic character in 1930s burlesque along with fine work from DREW HIGHLANDS as his lover….JAY O’LEARY was a chief delight of another rather messy ArtsWest production Milk Like Sugar as a tough high school girl making some TERRIBLE life choices…the play was a bit convoluted but the cast was delightful. 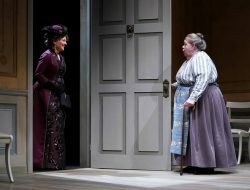 LINDSAY W. EVANS and deaf actor JOSHUA CASTILLE and their key relationship were the chief highlights of ACT’s production of the British drama Tribes…the soap opera antics of Mr. Castille’s character’s family, less so. 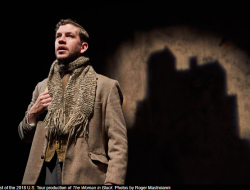 The Seagull Project’s 3rd production of an Anton Chekov play was The Cherry Orchard which I liked quite a lot but mainly due to its strong cast headed by JULIE BRISKMAN and BRANDON J. SIMMONS who both gave exceptional performances. The gay theater company Fantastic Z had a charming little production of a comedic play called Bad Pandas that had a terrifically charming performance from RICHARD SEAN GLEN as…well, a ‘naughty’ panda exploring his sexuality. 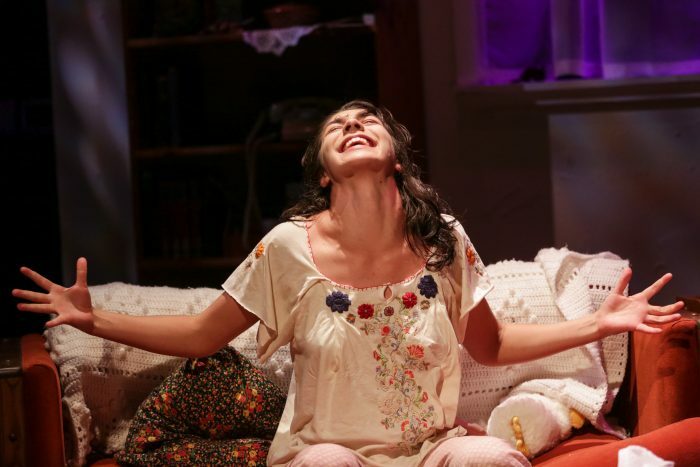 Other productions I liked quite a lot: Strawberry Theatre Workshop had another winner with their take on David Auburn’s 2001 Pulitzer Prize winning PROOF (which also had at least two other productions in the Seattle area this year, oddly enough). Strawshop founder GREG CARTER directed a strong ensemble headed by ANASTASIA HIGHAM with solid design work on hand as well. 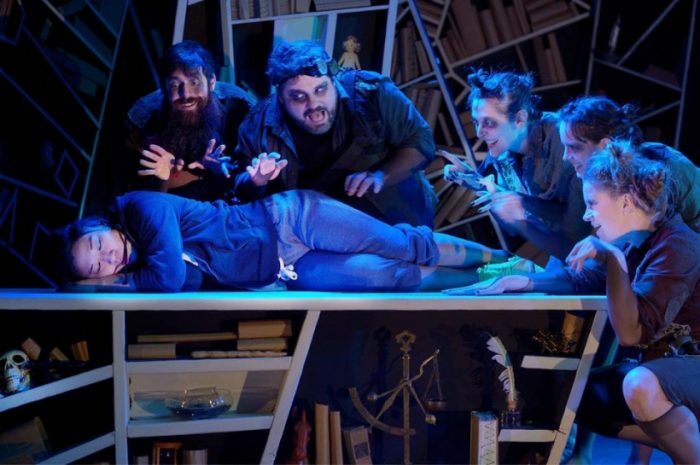 I also enjoyed Annex’s charming original work, SCARY MARY AND THE NIGHTMARE NINE which was vividly staged (and scenic designed) by EDDIE DEHAIS with other great design elements (EMILY LEONG‘s lighting; FANTASIA OSLUND & SYDNEY TUCKER‘s costumes; ERIN BEDNARZ & D.R. AMROMIN’s sound) in a clever script by AMY ESCOBAR that centered on dream/nightmare journeys into a magical world. It was yet another example of Annex’s gifts for this kind of genre material. And, Theatre 22 also had a winning team for their production of Theresa Rebeck’s new play DOWNSTAIRS a three hander about a problematic relationship between a emotionally crippled man crashing in his sister’s basement much to the chagrin of her hulking husband. BRANDON RYAN, CHRISTINE MARIE BROWN and JOHN Q. SMITH were superb under the direction of JULIE BECKMAN in this claustrophobic family thriller/drama. Village also had a fun take on Sondheim’s fairy tale musical Into The Woods with imaginative costumes from MELANIE TAYLOR BURGESS and sets from MATTHEW SMUCKER and several really strong female performances including ARIKA MATOBA as Red Riding Hood, CHRISTINE MARIE BROWN as the Baker’s Wife, and MARI NELSON as the Witch. Some awkward staging and a dull leading man hampered an otherwise tight production. I wasn’t a super fan of ACT’s kinda homosexist (IMO) The Legend of Georgia McBride about a straight dude in the south becoming a drag queen under the tutelage of a real queen but the cast headed by ADAM STANDLEY as the dude and TIMOTHY MCCUEN PIGGEE as the queen was great and PETE RUSH provided the crazy costumes. I also had issues with Seattle Shakes’ awkward and slightly off production of The Government Inspector which just TRIED too hard to be madcap all the time, but the cast had some very funny moments and PETE RUSH had fun with his very stylized costumes as did JULIA WELCH with the equally baroque yet spartan (if that makes sense) scenic design. It also behooves me to mention TIM GOURAN who gave THREE great performances in productions I didn’t necessarily adore (Washington Ensemble Theatre’s interestingly messy Every Five Minutes; Theatre 22’s rather dated Burn This; Azeotrope’s very topical but rather didactic Building The Wall) but he was superb in all three of them. And, a final shout out to CHERDONNA SHINATRA for her role in Washington Ensemble Theatre’s bastardization of Ibsen’s A Doll’s House, rechristened Cherdonna’s Doll’s House which featured the bio drag queen/performance artist/dancer taking over a production of Ibsen’s play with hilarious results (including multiple attempts to coerce the cast into lip syncing Cher songs with her) before it collapsed under the weight of its pedantically pompous hipster than thou ‘artistic’ ending. A solid ‘A’ for Ms Shinatra and the first 2/3 of the production and a big red ‘F’ for that clunky and badly directed ending. ADDED: SEATTLE REPERTORY THEATRE created a fantastic new program called PUBLIC WORKS SEATTLE copied from a similar project created by New York City’s Public Theater, that combines community members and groups with theater professionals to create huge, collaborative works that allow under served communities access to the creation of theater art. They debuted this fall with THE ODYSSEY, a musical adaptation of the classic Greek opus by Homer by composer Todd Almond from an original concept by The Public Theatre’s Lear DeBessonet, the Rep’s fanciful production, well directed by MARYA SEA KAMINSKI, featured 100 artists onstage including professional actors, senior citizens, dance groups, drag queens, kids and marching bands among the participants. 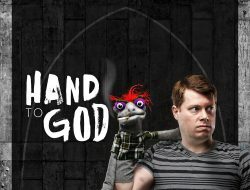 It only ran a weekend, but this delightful production was a welcome and joyous addition to Seattle’s theater scene. Now….what should we see in 2018? I am so thankful for recognition here, especially for Wellesley Girl which meant so much to me! But I have to say I wasn’t in The Crucible. AACK! Apologies for the brain fart!